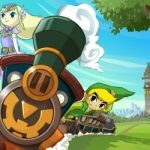 Will Spirit Tracks be compatible with my DS? This has been a big issue for many after seeing the LoZ:ST trailer on a DSi. Many do not want to get a DSi right after getting a DS or cannot afford to get one but want to play the game. Does it mean we all have to get a DSi in order to play this new game? As of now, no. 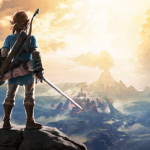 The new The Legend of Zelda: Spirit Tracks game that Iwata announced will utilize the intuitive touch control of Phantom Hourglass in an all new adventure that will please longtime Zelda fans while keeping the game accessible to all DS owners. At Nintendo’s GDC panel on the DSi’s design, Project Leader Masato Kuwahara revealed a bit of news regarding DSi software. that will either terrify or thrill you based on the status of your DSi preorder. Two new types of DS cartridges are on the way: “DSi Cards,” which will only work on the DSi, and “DSi Enhanced Cards,” which work on all DS systems, but will have extra features when played on a DSi. Soon we will see the transition of regular DS cards to DSi and DSi Enhanced cards just like when the DS cards came along with Game Boy Advanced cartridges. Loyal Nintendo fans, start saving your money for a DSi if you haven’t done so already. In the meantime, keep that older DS around.